More than 35, 000 runners make their way to the streets of Indiana’s capital city each year for what has become known as the nation’s largest half-marathon road race event, the OneAmerica 500 Festival Mini-Marathon & 5K, which is run roughly a month in advance of the legendary Indy 500 race. Mostly fast and flat, the race course gives runners a chance to take a lap on foot around the famed Indianapolis Motor Speedway at the half-way point in the race before re-joining the course for the stretch toward the finish line. Named by Runner’s World magazine as one of its “Hot Halfs, ” this race has been a sellout for each of the past several years, and it’s easy to see why with the tremendous interest generated by the race later in the month. 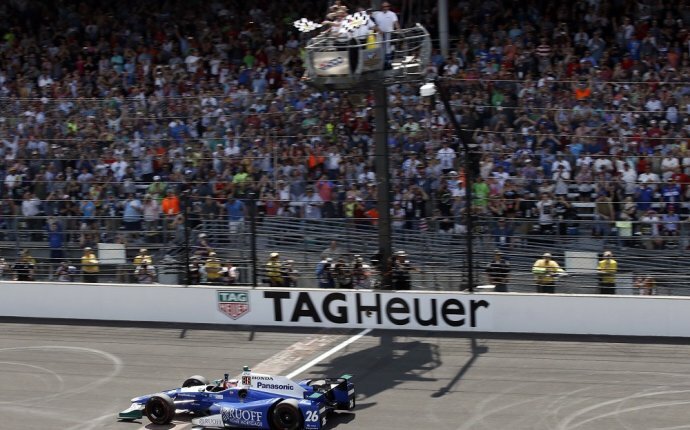 As for the course itself, it takes participants through some of Indianapolis’s most scenic streets, starting on the eastern side of the White River and running westward along first Washington Street and then Michigan Street, before turning north at Olin Park on its way toward the motor speedway. Runners take a lap around the oval at the speedway (which has got to be one of the most original features of any road race anywhere) and then head back along Holt Road and West 10th Street toward the White River. Once they reach the White River Parkway/Bloomington Street, runners turn south and then east across the New York Street bridge, and through the campus of Indiana University, before winding up at the finish line at Military Park. Like pretty much everything else for the weekend, everything about the race is big — all told, nearly 90, 000 runners, spectators and volunteers enjoy the festivities at the finish line celebration each year, taking in the food, music and the Miller Lite Beer Garden. Located near the geographic center of the state, roughly 180 miles southeast of Chicago and about 110 miles northwest of Louisville, Ky., Indianapolis typically sees mild to sometimes warm weather in May, which also is the city’s second-wettest month of the year. On race day (May 6), the average low is 48ºF and the average high is 69ºF. Ever run in the 500 Festival Mini-Marathon? Share your impressions here, or post your review in the Comments below.